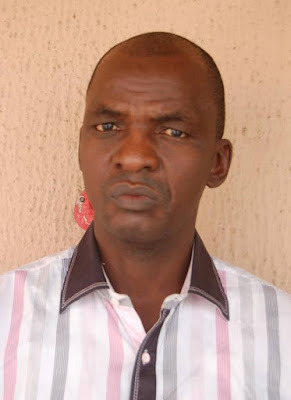 Operatives of the Economic and Financial Crimes Commission, EFCC have arrested a former Constable of the Nigeria Police posturing as a bonafide staff of the anti-corruption agency. The suspect, David Lohbut Nimdul, was arrested in Port Harcourt, Rivers State. Nimdul was reported to the Commission by a petitioner who alleged that he was introduced to him as an EFCC Staff. Based on the introduction, he requested Nimdul to assist in the recovery of a loan of N15,300,000.00k (Fifteen Million, Three Hundred Thousand Naira only) he offered one Patience Amaewhule, a banker with an old generation bank in Port Harcourt. The banker allegedly obtained the loan from him and promised to pay back in 120 days. However, she failed to keep faith with the promise and Nimdul came on the scene to assist in the recovery of the loan. To demonstrate to the petitioner that he was indeed an EFCC's Staff, Nimdul allegedly went with the petitioner to Amaewhule's office to arrest her. He even recorded a Statement made by the banker and collected her house's documents. He ordered the banker to commence the repayment of the loan to the petitioner and directed her to pay an initial sum of N250,000,00 (Two Hundred and Fifty Thousand Naira only) into his (Nimdul) bank account, promising that the money would be payed into EFCC's loan recovery account. The petitioner later found out that Nimdul was an impersonator and reported him to the Commission. Investigations by the EFCC showed that, Nimdul was a mobile Policeman dismissed in 2012 after an Orderly Room trial occasioned by allegations of corrupt practices imputed to him and for which he was found guilty. Before being dismissed from the Nigeria Police, he worked as a seconded staff to the EFCC and had since been disengaged from the Commission. Nimdul was also found to have sent several text messages to different individuals claiming to be an EFCC's operative from the Abuja office. Investigations have been concluded on his case and he would soon be charged to court.